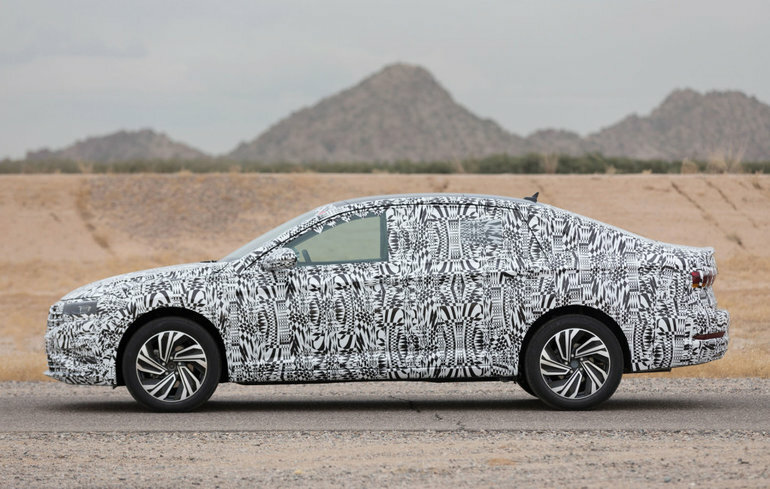 The 2019 Volkswagen Jetta is set to make its world debut in January at the 2018 North American International Auto Show in Detroit, and we know it will be one of the most watched and important events of the year. After all, any time a vehicle as popular and important as the Jetta is redesigned, the automotive world takes notice. The 2019 Volkswagen Jetta is set to get a host of improvements over the current generation, but we don’t know as of yet exactly what will be new. More details should follow in the next few weeks. 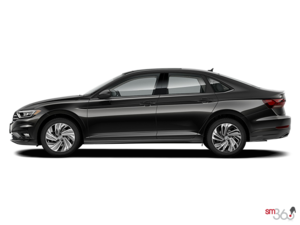 We do know, however, that it will feature a bold new design that many compare to the previous Volkswagen Passat CC or even the Audi A7. This can be ascertained simply by looking at the pictures recently unveiled by Volkswagen of the next Jetta. We also know that it will be built on VW’s MQB modular platform, and that it will feature the current Jetta’s 1.4-litre, four-cylinder engine along with a more powerful engine that will power the Jetta GLI. The latest safety and connectivity features should also be included. As we wait for the new Jetta, contact us today at New Sudbury Volkswagen to learn more about Volkswagen’s current lineup of new vehicles.